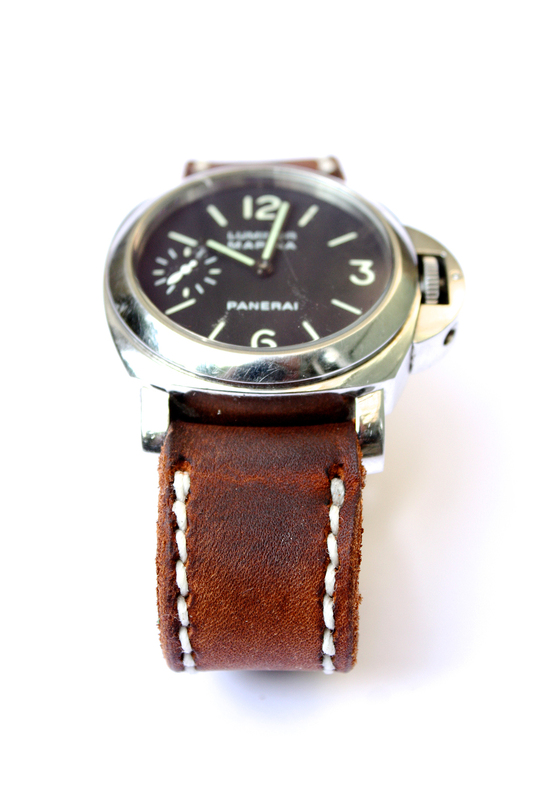 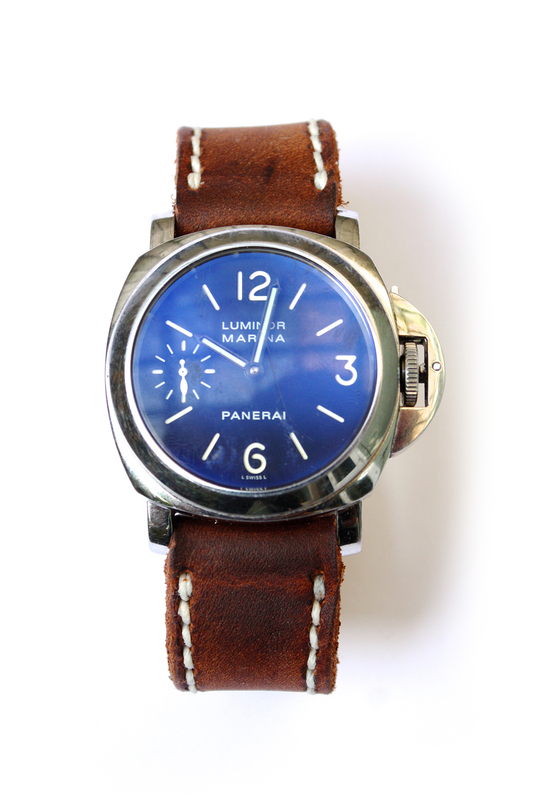 The first part of a larger commission, this Panerai watch was in need of a new strap. 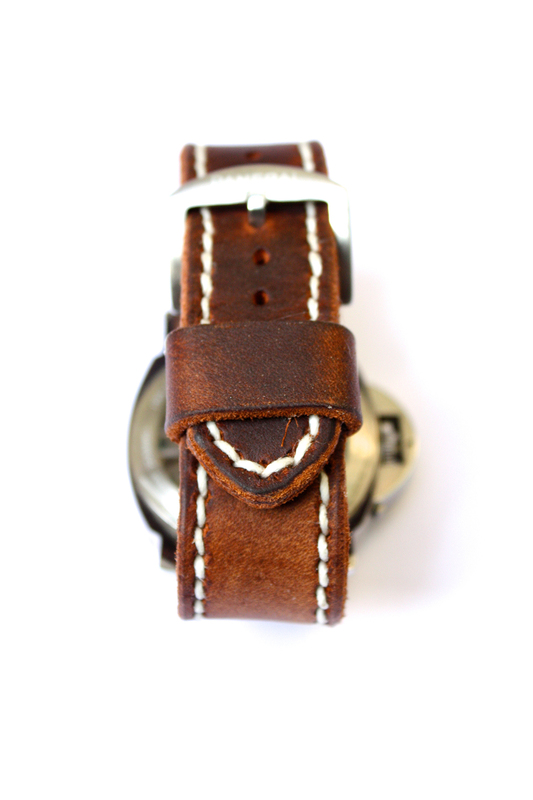 Made it in the matching leather to be used for the wallet lanyard commission, currently in the pattern/design stages. 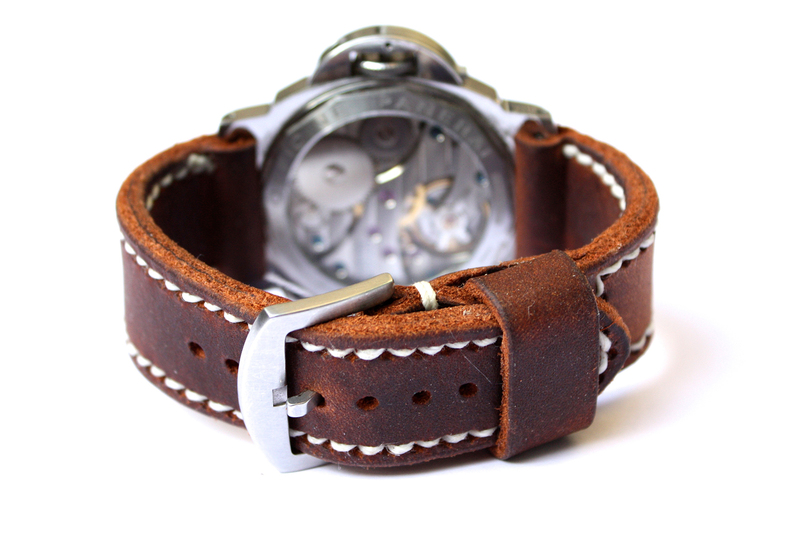 Made on 4-5 oz Oiled Kodiak hide, this strap will last for ever and age beautifully. 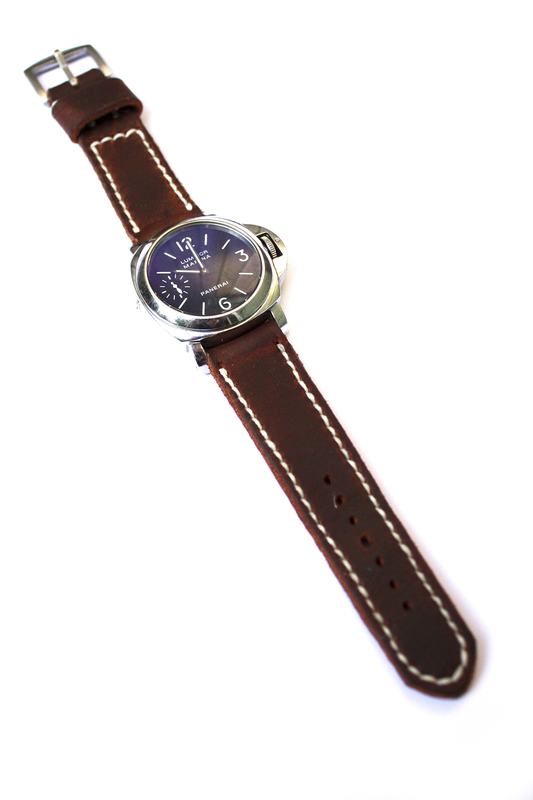 Made to order for any watches than can accept such straps.